John Waters has made 15 films, including Hairspray, Pink Flamingos, Serial Mom, Pecker, and most recently, Cecil B. DeMented. He has also done some acting. Learn more about John Waters by visiting the Internet Movie Database and his faculty page at the European Graduate School. 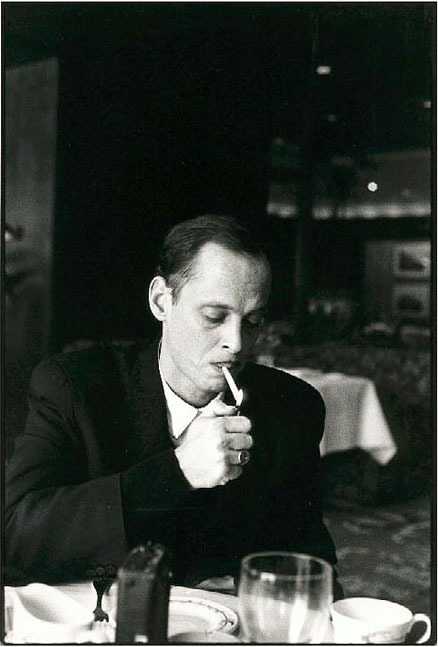 Posted in Visuals and tagged Author Photos, John Waters, Photography, Robert Birnbaum. Bookmark the permalink. Trackbacks are closed, but you can post a comment.